The Wooden Ninjato with Scabbard features a straight single edged blade painted metallic silver. 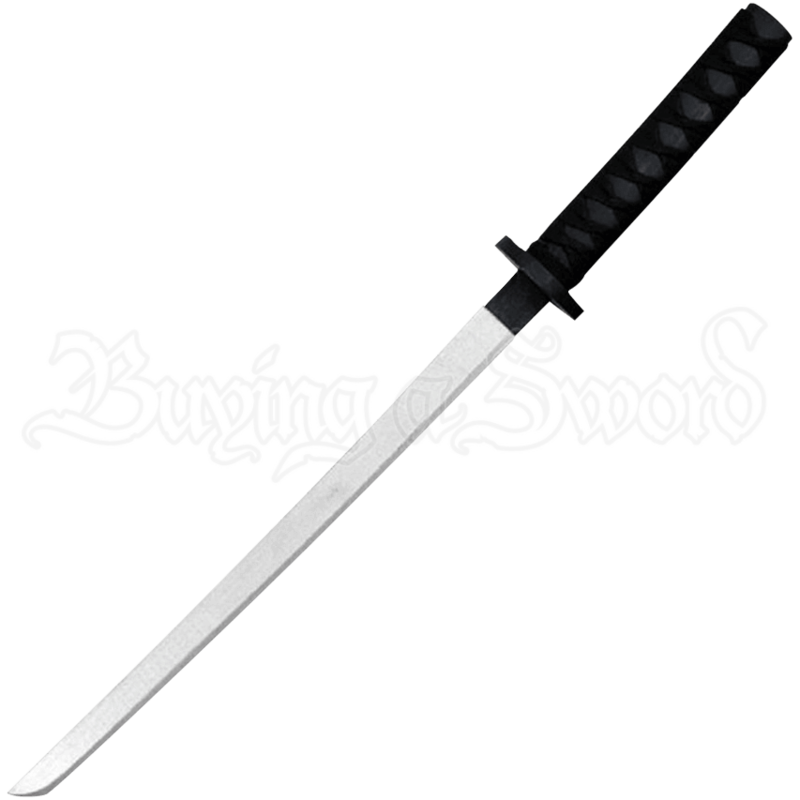 Shorter than the curved katana, this wooden sword is an excellent choice for training in close quarters and for stealth operations. The circular guard protects your hand from incoming blows. The black grip and scabbard are wrapped with nylon cord. Perfect for cosplay ensembles, sparring, and theatrical productions, the Wooden Ninjato with Scabbard is great for all ages.